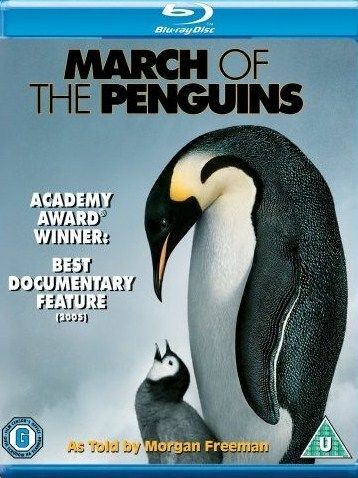 Plot Every year, thousands of Antarctica's emperor penguins make an astonishing journey to breed their young. They walk, marching day and night in single file 70 miles into the darkest, driest and coldest continent on Earth. Morgan Freeman narrates this amazing, true-life tale touched with humour and alive with thrills. Breathtaking photography captures the transcendent beauty and staggering drama of devoted parent penguins who, in the fierce polar winter, take turns guarding their egg and trekking to the ocean in search of food. Predators hunt them, storms lash them. But the safety of their adorable chicks makes it all worthwhile. So follow the leader ... to adventure! !